Not only is the SOG Flash II classified as one of the “coolest” pocket knives you have ever seen, this knife is also one of the safest and the strongest. 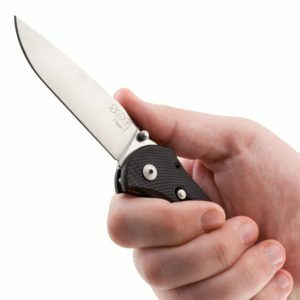 With SOG’s Assisted Technology in the palm of your hands, you will easily release the straight edge blade in one sliding action. But after your deed is done, the blade locks up like a prison cell to provide optimum safety when handling. This is a perfect utility knife since it is strong and is easy to carry. It offers amazing benefits despite its affordable price. It is for sale online for less than $50. Its strong blade with a straight edge that you can grip easily and can withstand countless stress of outdoor use. The blade is made of strong steel that retains its sharpness for an extended period of time however; it pays to have a suitable and efficient sharpening tool or stone. The blade has a satin finish to resist rust and dirt that comes with regular outdoor use. The grip is strong and will provide efficient resistance even when your hands are wet or dry. 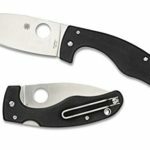 The grip also has a contoured design so the user may hold on to the knife with ease in any kind of activity or project. The handle is made of strong glass-reinforced nylon that will never fail no matter what the stress may be. The reversible bayonet clip allows you carry the SOG Flash II in your pocket, your bag and even in your purse. 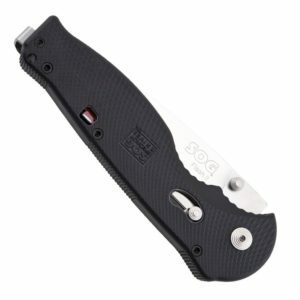 The SOG Assisted Technology locking system allows for efficient and fast one-hand opening. 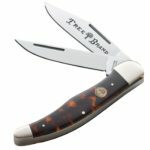 It is the perfect knife to use outdoors and keep at home since it is not just strong and durable but is also safe to have around. 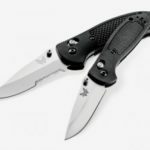 There are hardly any disadvantages of the SOG Flash II. Possibly the most common complaint is the knife being too hard to close during the first few uses. 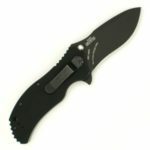 Other than this, the knife is a good quality folding knife for its price. 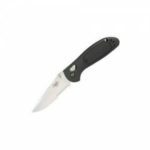 The SOG Flash II is a reliable, strong and efficient folding knife which you can use for outdoor activities and projects. It is also safe to being anywhere since it is designed with SOG Assisted Technology locking mechanism. 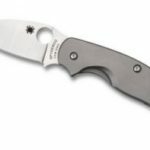 There are no significant disadvantages in purchasing this knife and it is a true value for its features and affordable price.